About Sungda - TOP 10 rubber conveyor belt manufacture in China, supply Contitech conveyor belt, EPconveyor belt, steel cord conveyor belt etc. TOP 10 rubber conveyor belt manufacture in China, supply Contitech conveyor belt, EPconveyor belt, steel cord conveyor belt etc. Sungda conveyor belt Co., Ltd. was established in 1981 and is a leading rubber conveyor belt manufacturer in China, specializes in producing variety of conveyor belts such as EP conveyor belt,oil resistant conveyor belt, steel cord conveyor belts, heat resistant conveyor belt and abrasion conveyor belts etc all series mining conveyor belt. Sungda has past international quality certification such as ISO9001 and SGS, has become a regular supplier for well-known companies such as BHP Billiton; Vale of Brazil and Southern Copper etc. Sungda has got interntional quality certification such as ISO9001 and SGS, has become a regular supplier for well-known companies such as BHP Billiton; Vale of Brazil and Southern Copper etc.. 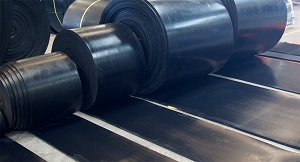 Copyright © 2019 TOP 10 rubber conveyor belt manufacture in China, supply Contitech conveyor belt, EPconveyor belt, steel cord conveyor belt etc. All Rights Reserved.